The Egyptian Foreign Minister Sameh Shoukry said on November 6 in an interview with RIA Novosti that an Egyptian Free Trade Agreement with the Customs Union could be signed next year. Negotiations to this effect have been conducted since spring. Shoukry also noted the mutual desire of Egypt and Russia to develop multilateral cooperation. The impetus for the rapprochement between the two friendly countries was the removal from power in Egypt of Islamist President Mohamed Morsi as a result of the revolution of June 30, 2013 and Russia’s position on this issue. If the US and Western Europe regarded the overthrow of Morsi as a common-place military coup and suspended aid to Egypt, then Russia through the voice of Vladimir Putin said that it “respects the will of the Egyptian people.” This immediately made the Russian president extremely popular among Egyptians. Having once again visited Cairo soon after this, I saw posters of three political leaders: former Egyptian President Gamal Abdel Nasser, former Defence Minister Abdel Fattah el-Sisi (on behalf of the army, he took responsibility for the removal of Morsi) and Russian President Vladimir Putin. And sympathy for Russia sometimes leads to peculiar consequences. Last fall, an Egyptian newspaper reported that “tomorrow Putin will arrive in Cairo and deliver a speech at the famous Tahrir Square”, and this message released a wave of enthusiasm among Egyptians. Of course, the memory of cooperation between the Soviet Union and Egypt not so long ago also plays an important role . It is not only the older generation of Egyptians that know about it. In mid-May of this year in Cairo and Aswan the 50th anniversary of spanning the Nile – a key event in the joint construction of the Aswan High Dam – was widely celebrated. A large delegation of the Russian representatives was invited to the celebration. Veterans of construction in Aswan were present at the celebration, and were awarded Egyptian orders and medals. At an official meeting in the Cairo Opera House Prime Minister Ibrahim Mahlab made a speech. When Russian Ambassador Sergei Kirpichenko read a welcoming telegram from President Vladimir Putin to Interim President Adly Mansour, there was a long standing ovation in the hall. The new Egyptian authorities had to respond to the mood of the street. 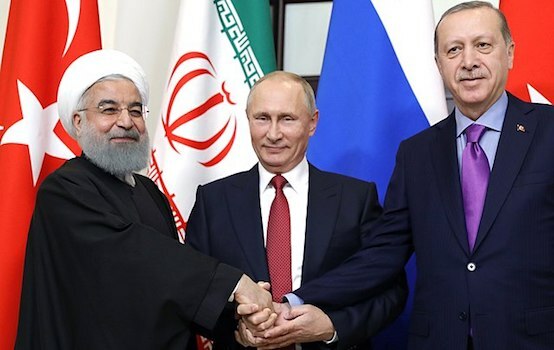 Rapprochement with Russia made it possible to slightly weaken the overly close ties with the United States, established back in the late 1970s by then-President Anwar Sadat, and make foreign policy more balanced. Of particular concern is the one-sided focus on the United States in the military-technical sphere, substantially interfering with Egyptian sovereignty. Therefore, the new page in the Egyptian-Russian relations has begun not only with strengthening political and public relations, but also with negotiations for the delivery to Egypt of a large shipment of Russian military equipment. Egyptians were interested primarily in our fighter aircraft and surface-to-air missile defence systems. This is understandable. If neighbouring Libya under Muammar Gaddafi had been equipped with such weapons, it is unlikely that there would have been people willing to bomb it. Negotiations are moving toward completion. As stated in mid-September, the director of the Federal Service for Military-Technical Cooperation Alexander Fomin signed contracts worth $3.5 billion. However, Egyptian finances are strained after the two revolutions, but according to numerous reports in the Cairo Press, its closest allies in the Arab world promised to pay for the contracts – Saudi Arabia and the United Arab Emirates. The new impetus for enhancing relations was given by the visit to Russia in mid-August by the elected president of Egypt Abdel Fattah el-Sisi. Remarkably, it was a little over two months after el-Sisi took office and it was the first visit by the Egyptian President outside the Arab world. At the meeting in Sochi a wide range of issues concerning bilateral cooperation were discussed with Vladimir Putin. Egypt expressed its readiness to nearly double exports of fruits and vegetables to Russia, which will significantly help compensate for agricultural imports banned because of reciprocal sanctions from the European Union. In turn, Russia is ready to increase by 60% its grain exports to Egypt, bringing its volume up to 5.0 – 5.5 million tonnes. For Egypt, this is extremely important. The basis of the diet of the majority of Egyptians is grain pita bread, and Egypt’s supply of grain is sufficient only for six months. Prospects for cooperation in other areas were also discussed in Sochi, in particular in the energy sector, including nuclear power. Back in 2008, Russia and Egypt signed an agreement on cooperation for the peaceful use of the atomic energy. This agreement opens the way for Russian firms to participate in the construction of the first Egyptian nuclear power plant. Because of the two revolutions in Egypt in the last years the announcement of the tender was delayed but there is no doubt that the plant will be built: Egyptians are experiencing an increasing shortage of electricity. In my opinion, there is one proposal in this area that deserves attention, posited by our experts from the Hydroproject association who once participated in the construction of the Aswan High Dam: to revive the project to build a canal from the Mediterranean Sea to the Qattara Depression in the Western Desert of Egypt. This basin lies 60-70 m below sea level, 124 meters below at its lowest point. At the exit of the channel a hydroelectric power plant with 500-800 MW capacity and 4-7 billion kWh/year productivity can be built. In this case only as much water is released into the depression as evaporates, without filling it entirely. According to calculations of our experts, the cost of this project is relatively low, and it can be completed quickly, in just a year and a half. The scope of the project, of course, is not comparable with the Aswan High Dam, but it could become a flagship of modern Russian-Egyptian cooperation. 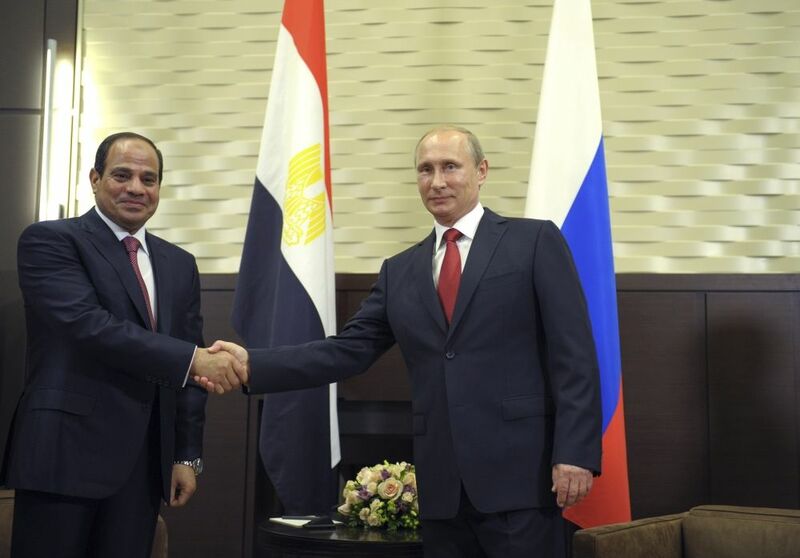 During the talks in Sochi Abdel Fattah el-Sisi gave Vladimir Putin an invitation to visit Egypt. The invitation was graciously accepted. The dates of the visit have not yet been determined. I think the reason, at least in part, is that such a visit ought to lead to concrete results. In June 2009, during a visit by then-President Dmitry Medvedev to Cairo, a treaty on strategic partnership was signed between Russia and Egypt. Its period of validity of 10 years is far from expired. 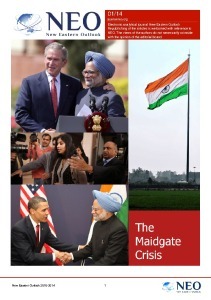 But the atmosphere of bilateral relations today is different and far more cordial. So, perhaps, it would be worthwhile to update the agreement and make it less formal? And sign it during Vladimir Putin’s visit to Cairo. I think that Egypt could come up with such an initiative. The Egyptians are waiting for Vladimir Putin. For them he is a symbol of new-found opportunities after the revolution of June 30 for Egypt to pursue a truly independent foreign policy, to choose their own friends and partners. And Putin is sure to come to Egypt. Vladimir Belyakov, PhD in History, Senior Research Fellow at the Institute of Oriental Studies, exclusively for the online magazine “New Eastern Outlook“.